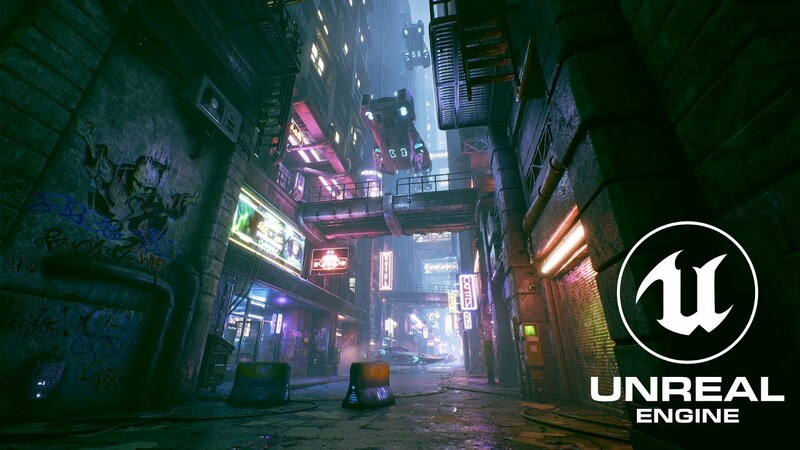 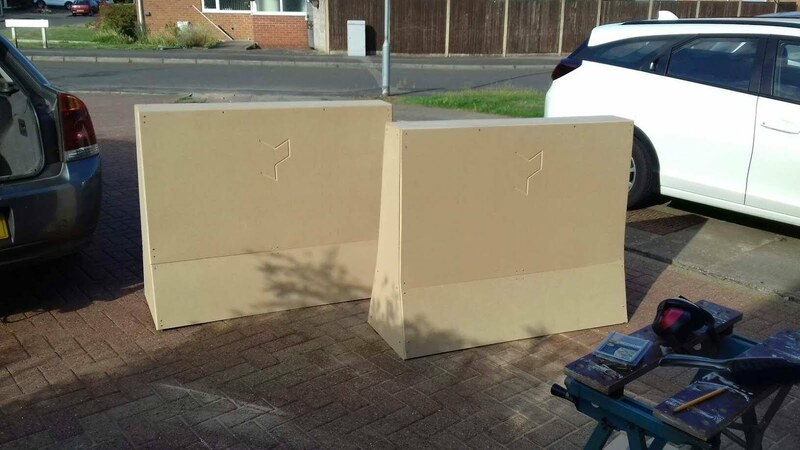 Last on my list of big props for EMF Camp are these pair of central reservation barriers they're quite common in cyberpunk street depictions so I thought it would be cool. 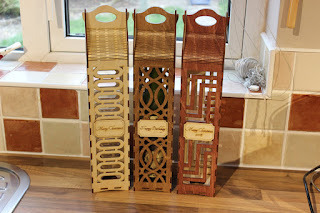 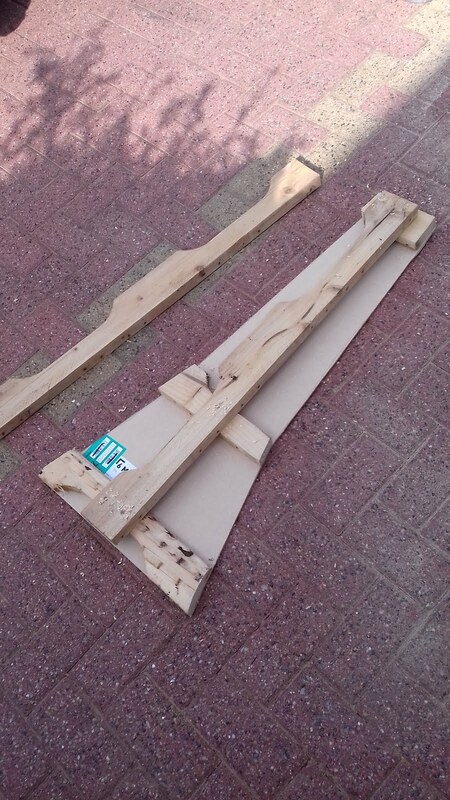 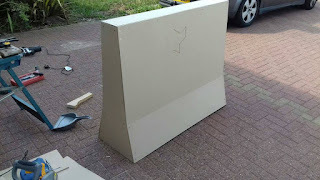 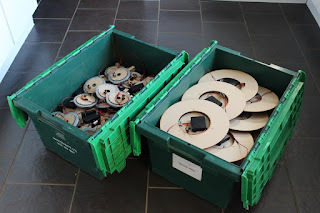 More Sheets of MDF were cut down to the right sizes, a jig saw was used to cut out the end angles. The sides were reinforced with pallet wood to give it strength, in case people decided to sit on them. 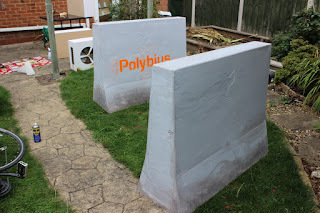 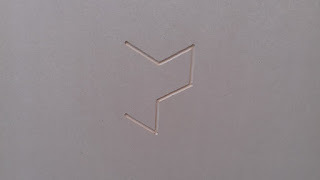 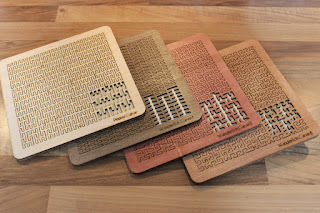 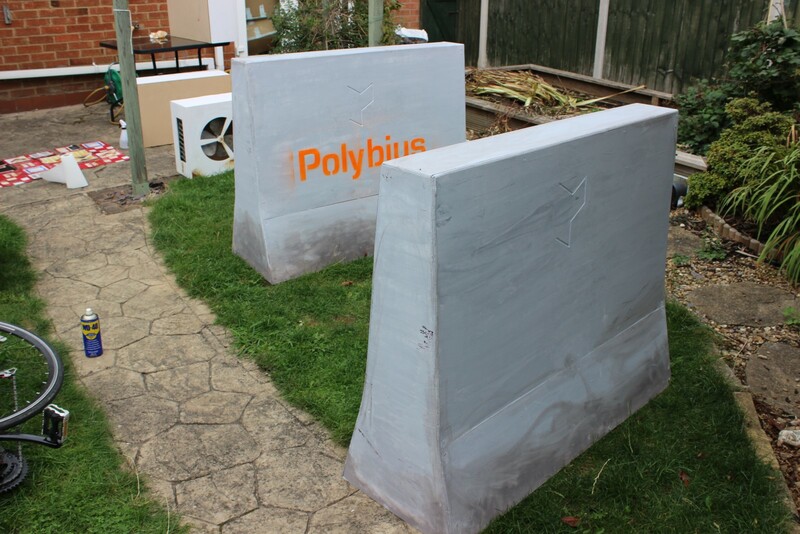 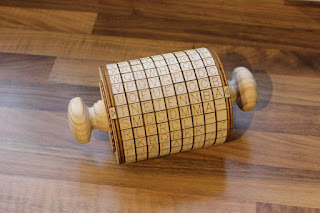 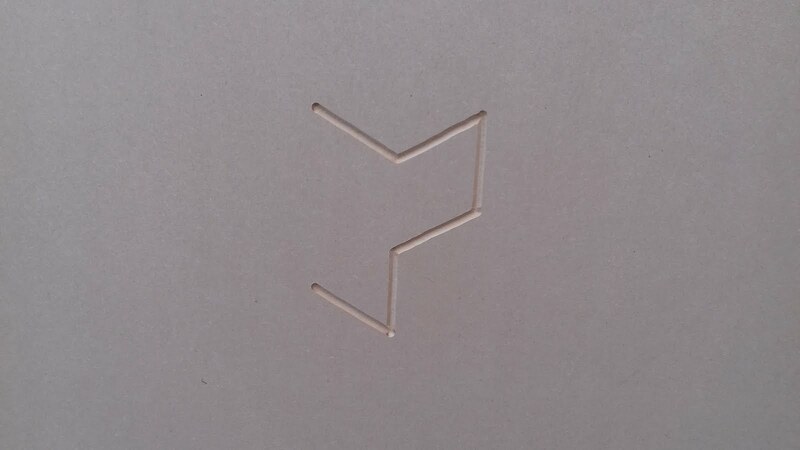 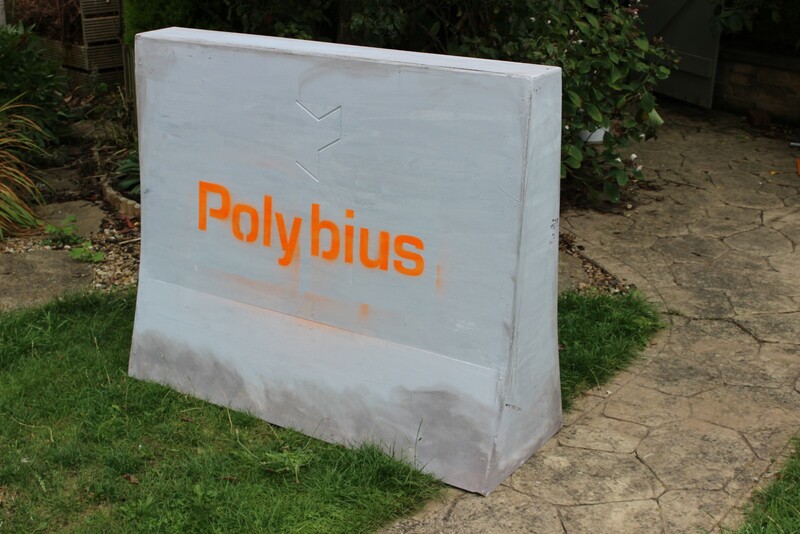 The Polybius logo was embossed on each side using a router with a 45 degree bit. 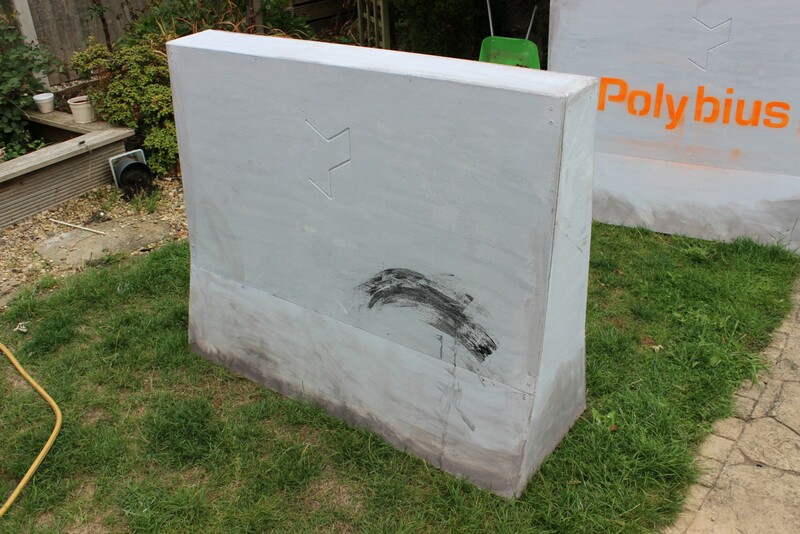 The paint effects were achieved by applying successive layers of grey paints with a paint scraper rather than a paint brush. The darker colour around the base was spread using a rag and wiped down to blend with the greys. 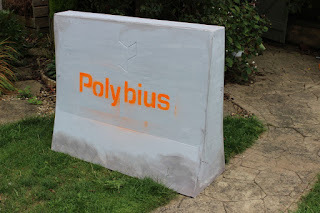 Obviously the orange Polybius was added using spray paint and a laser cut stencil.